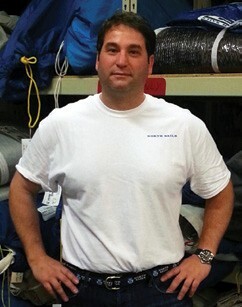 Christopher (CJ) Salustro has joined North Sails as the sail care manager at the company’s flagship loft in Milford, CT. An experienced sailmaker and marine industry professional, Salustro will manage the sailmaking team in Milford. Salustro grew up near the Connecticut shoreline and has enjoyed both racing and cruising in the waters from New York to Newport, RI and beyond. He has done everything from frostbiting on Lasers to racing offshore, and he spent three years as an instructor at J/World in Eastport, MD. Salustro can be contacted at cj.salustro@northsails.com or 203-783-4270.